Good afternoon. Happy Monday to you all! I pray that you had a wonderful weekend. Public Service Announcement: You know that I am busy if I don’t post a blog. I can’t wait til this busy season passes. I miss writing. Remember to always find time for daily devotion with Christ. It’s the sweetest thing in the world. Meeting God in the start of the day makes the day go by so much better. 8 Be sober, be vigilant; because[a] your adversary the devil walks about like a roaring lion, seeking whom he may devour. 9 Resist him, steadfast in the faith, knowing that the same sufferings are experienced by your brotherhood in the world. The last few weeks have been extremely busy for me; between my home life, school, work, ministries I serve in, and personal life I have been swamped. Even though I have been busy, I always make time in the top of my day to meet God. I was reminded in my devotional time as well as by the preacher on Sunday that the enemy is busy trying to distract us from the things of God. That leads me to today’s TFTD, we have to be vigilant. To be vigilant means to be alertly watchful especially to avoid danger. You see the enemy will use our busy seasons to distract us from God and even to cause us to doubt God. Sometimes we can get so busy that we push God to the side and then start panicking when things seem to become overwhelming. The word tells us to be vigilant because the enemy is walking around us ready to pounce on us and devour us. In the past I would allow being busy to be my excuse for not making time for God. But as I have matured in Christ I used my being busy as a motivation to seek God more. I know that only God can orchestrate my steps and cover me with a cloud of peace in a time when things seem so chaotic. I know that it’s only God who can get me through a difficult time and make it appear easy. When I made time for God, He made everything work out effortlessly. The more time I spent with God the more vigilant I became. It was in my quiet time with God that He would warn me about the dangers that awaited me on that day. But had I allowed my busy schedule to keep me from seeking God then I would have been blind-sided. WE HAVE TO BE VIGILANT! Never allow life or people to keep you from seeking God. You have to stay connected to Him in order to be prepared to handle the enemy when he appears. The number one way to combat the enemy is to stay in God’s presence. You can stay in God’s presence by staying in His word, praying daily, setting aside a personal intimate devotional period with Christ, fast for spiritual gain and not worldly gain, and these are just a few ways. I pray that you continue to keep God first in all that you do. Have a blessed day! In a national survey of American families, 50% of the men who frequently assaulted their wives also frequently abused their children. On average between 1993 and 2004, children under age 12 were residents of households experiencing intimate partner violence in 43% of incidents involving female victims and 25% of incidents involving male victims. Domestic Violence affects everyone involved, the victim, the children, the abuser, the family, the community and so much more. It’s time to become aware and stop remaining silent. Blow the Whistle on domestic abuse. All because a child embraced me. *You never know what may be the turning point in the life of a woman who has been or who is currently being abused. Your hug may be the hope that she needs to fight for her life. It’s time to become aware. Don’t turn your back on victims, extend love and offer a hug, an encouraging word. Many of them are just seeking hope in a dark world. Imagine what your hug could do for someone today. LET’S BLOW THE WHISTLE ON VIOLENCE! Throwback Throw down-80’s Style TONIGHT!!! 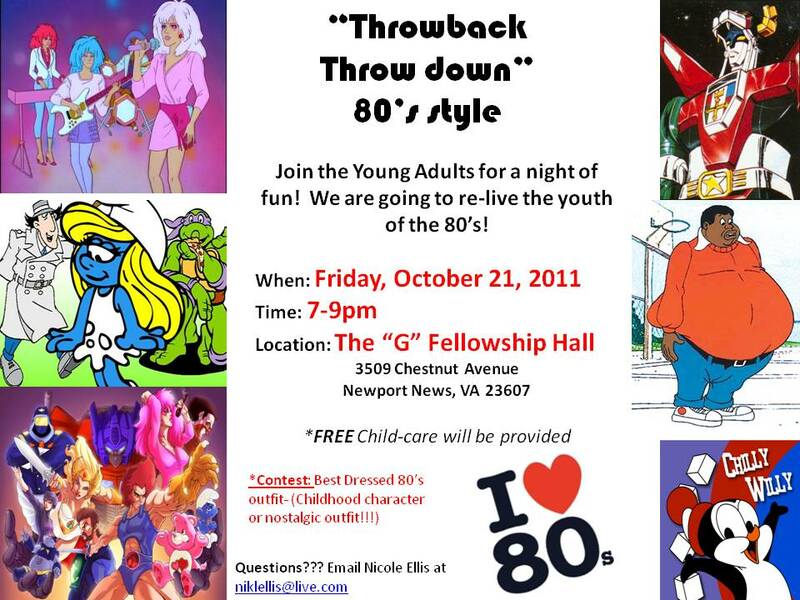 The Young Adults of Gethsemane Baptist Church are having a throwback throw down-80’s style. We are going to travel back in time and become kids for one night. There will be child hood snacks, music, best 80’s apparel contest; where you can dress as your favorite 80’s character or even dress up like a child in the 80’s, double dutch contest, hula hoop contest, best school yard chant, and so much more. You don’t want to miss this fun-filled night. Young Adults ages 18-35ish. This is a night that you don’t want to miss. Bring your cameras because the young adult leaders are going all out tonight!!!! God bless and we hope to see you tonight. Good morning! Happy Wednesday to you all! I pray that you had a wonderful weekend and a blessed Monday and Tuesday. This blog was supposed to go out yesterday, but God’s timing is better than mine. It’s another busy season for me, but how many know that God is a sustainer! He is able to blanket me and you with peace in the midst of a busy time. I love the Lord. 34 Wait on the LORD, And keep His way, And He shall exalt you to inherit the land; When the wicked are cut off, you shall see it. “Good things come to those who wait”, that is a saying that I have heard a lot growing up, but now I realize that “Better things come to those who wait on the Lord.” Life is filled with waiting periods. We are waiting for our kids to grow up, some are waiting for healing, financial breakthroughs, others are waiting for weddings, graduations, and promotions. No matter where you are in life you are in a waiting period. God wants me to remind someone to wait on Him and to keep His ways while you are waiting. This is so important. It’s not enough to just wait on the Lord, but ask yourself what are you doing while you are waiting? Some people wait, but they are not keeping God’s ways. Stop complaining during your waiting period. Start praying during your waiting period. Stop trying to take the short cut during your waiting period. When you try to rush God, you are telling Him that your plan is better than His and we all know that is not true. Wait on the Lord. Even when people challenge you, curse you, mistreat you, lie on you, demote you, or even remove you, choose to wait on the Lord. It’s in your waiting period that you can experience God in a new way. It’s in your waiting period that you can silence the noise of the world and the distractions from man and hear God clearly. 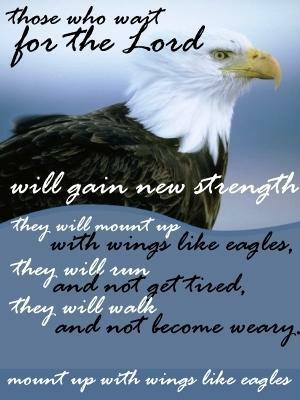 When you wait on the Lord he will exalt you. Someone has been waiting for a promotion, continue to wait. Someone has been waiting on a breakthrough in their relationship, keep waiting. Someone has been waiting for God to show up and show out and I want to encourage you to keep waiting. Supernatural blessings come to those who wait on the Lord. God is calling you to wait on Him. He’s been waiting on you forever, the least you could do is wait on Him for a little while. Instead of complaining about the wait, ask God to reveal Himself to you while you wait. Happy Friday to you all! I pray that you have a wonderful day and a blessed weekend! Domestic Violence Awareness Month (DVAM) evolved from the “Day of Unity” in October 1981 conceived by the National Coalition Against Domestic Violence. The intent was to connect advocates across the nation who were working to end violence against women and their children. The Day of Unity soon became an entire week devoted to a range of activities conducted at the local, state, and national levels. The activities conducted were as varied and diverse as the program sponsors but had common themes: mourning those who have died because of domestic violence, celebrating those who have survived, and connecting those who work to end violence. 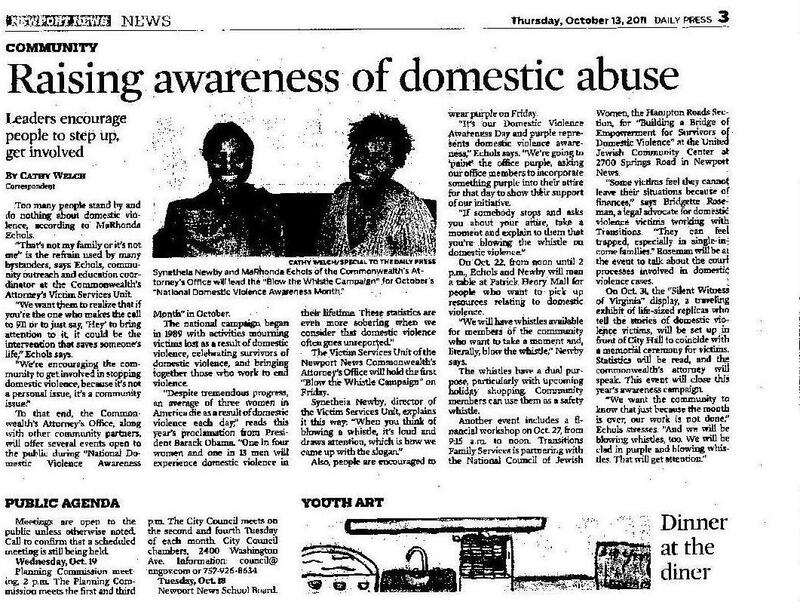 In October 1987, the first Domestic Violence Awareness Month was observed. That same year marks the initiation of the first national domestic violence toll-free hotline. In 1989 the U.S. Congress passed Public Law 101-112 designating October of that year as National Domestic Violence Awareness Month. Such legislation has passed every year since with NCADV providing key leadership in this effort. Each year, the Day of Unity is celebrated the first Monday of Domestic Violence Awareness Month. — Adapted from the 1996 Domestic Violence Awareness Month Resource Manual of the National Coalition Against Domestic Violence. Why did I have to go and make her so mad? Society would suggest that men can’t be victimized by a woman. Men are stronger than women. The reality is a man can be victimized emotionally, physically, mentally, socially, and more. It doesn’t feel good to be belittled or degraded. A man should not feel like he is less of a man because a woman decides that she wants to hit him and she knows his parents raised him right so he will never raise a hand to hit her. WAKE UP PEOPLE men are being abused everyday. It is not as often as women, but they can be a victim too. We have to raise awareness and reach out to our men. YOU ARE NOT LESS OF A MAN IF YOU ARE BEING ABUSED. Let’s “Blow the Whistle on Domestic Violence”. Spread the word. Let’s become more aware! Surveys find that men and women assault one another and strike the first blow at approximately equal rates. Although women are at a greater risk, men still can be affected. According to statistics it is estimated that one out of every 14 men will experience domestic violence in their lifetime. Have a blessed day! Let’s put a stop to domestic violence! God bless! Raising awareness of Domestic Abuse featuring Synetheia Newby and MaRhonda Echols of the Commonwealth’s Attorney’s Office will be leading the “BLOW THE WHISTLE CAMPAIGN” for October’s National Domestic Violence Awareness Month. Please pick up a copy of the Daily Press Newport News edition and check out page 3 to view this article!!! “Too many people stand by and do nothing about domestic violence”, according to MaRhonda Echols. “We want them to realize that if you’re the one who makes the call to 911 or to just say “Hey” to bring attention to it, it could be the intervention that saves someone’s life “Echols says. “Despite tremendous progress an average of three women in America die as a result of domestic violence each day”, reads this year’s proclamation from President Barak Obama. PEOPLE ARE ENCOURAGED TO WEAR PURPLE ON FRIDAY!!!! PURPLE REPRESENTS DOMESTIC VIOLENCE AWARENESS!!! If someone stops and ask you about your attire, take a moment and explain to them that you’re blowing the whistle on domestic violence. 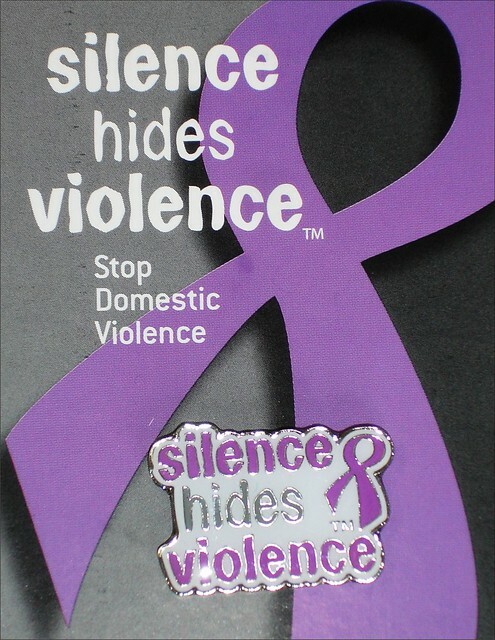 On October 22, 2011 from noon-2pm Echols and Newby will man a table at Patrick Henry Mall (in Newport News, VA) for people who want to pick up resources related to domestic violence. They will have whistles available for the community members!!! Another event: Financial workshops on Oct. 27th 9:15a.m.-noon, October 31st, the “Silent Witness of Virginia” a traveling exhibit of life-sized replicas who tell the stores of domestic violence victims, will be set up in front of City Hall. It’s time for us to become aware!!! Let’s BLOW THE WHISTLE ON DOMESTIC VIOLENCE!!! AREN’T YOU TIRED OF BEING SILENT? Good afternoon. You have successfully made it to “hump-day”. I don’t know about you, but I’ll praise God for that. I’m grateful for the little things in life. Make a decision to praise God as much as you can. Life is short, cherish each moment. On average, more than three women and one man are murdered by their intimate partners in this country every day. In 2000, 1,247 women were killed by an intimate partner. The same year, 440 men were killed by an intimate partner. Intimate partner homicides accounted for 30% of the murders of women and 5% percent of the murders of men. Most intimate partner homicides occur between spouses, though boyfriends/girlfriends have committed about the same number of homicides in recent years. Anonymous may go to your church, she may work with you, she may live in your neighborhood, or attend your school, she may even be in your family. The reality is, we all know someone or knew someone who was in or is in an abusive situation and now is the time to become AWARE. Don’t ignore the warning signs. We have to become informed so that we can provide helpful information for victims of domestic abuse. We want all victims to become victorious. Love doesn’t hurt! Let’s become aware!!! God bless! What are you eating on? Good morning! Happy Tuesday to you all! Yesterday was a busy day for me, so please forgive me for not sending out a blog. Remember to always find time to do a daily devotional. Become so dependent on God that you seek Him for yourself. God bless you all for your support and prayers. TFTD: What are you eating on? In the past 10 months God has taken me on a journey to restore my health. Now, let me clarify something I wasn’t “physically” experiencing sickness in the present day, but if I had continued living and eating the way that I was then I surely was headed down a road filled with health challenges. You see, high blood pressure, heart disease, diabetes, and high cholesterol run heavy on both sides of my family and with these facts I could no longer live the way that I was living. So God turned my eyes to what I was eating. Have you heard the saying “You are what you eat?” or seen that commercial where the kids are playing soccer and they are a little “sluggish” and when the camera hits them they looked like fast food items or junk food. We’ll I was beginning to look like what I was eating. God revealed to me in my devotional time that not only what we eat can affect us physically, but what we eat can affect our spirit. What are you eating on? What type of things are you feeding your spirit? If you eat on gossip, backbiting, bitterness, anger, hatred, unforgiveness, evil, and more than you are starving your spirit and ultimately will cause it to die. What type of things are you watching on TV or better yet what type of people are you allowing to sit in your close circle? When you have messy people feeding you mess then your spirit will begin oozing with negativity and drama. Once your spirit man changes then your physical man begins changing. You begin looking drained and exhausted. You’ll look sad and disgusted. You will begin looking like what you eat. How often do you eat on the bread of life? How often do you feed on the Word of the Lord? Do you need God as much as you need the physical food that you consume each day? John 6:35 says that when we come to Christ we will never hunger or thirst anymore. I only look good and feel good on the outside because I am feeding the Holy spirit that lives on the inside of me. The more I eat on the things of God the more motivated I become to change the outside. If I am what I eat and I’m eating on things that are filled with life and that are holy, then I should look like I am filled with life. I am what I eat. I’m feeding on Jesus. The light of Christ is on the inside of me and that same light on the inside should radiate on the outside of me. Ask yourself what are you eating on? It’s time for the outside to match the inside. Stop eating on things that bring about destruction and death and start eating on the things that bring life, love, and God’s glory. Have a blessed day feeding on the bread of life! Good morning! Praise God it’s Friday!!! I want to thank everyone for supporting this blog and sharing it with others. I am truly grateful that people take time to read what God places on my heart. May God continue to bless your households. Nearly 2.2 million people called a domestic violence crisis or hot line in 2004 to escape crisis situations, seek advice, or assist someone they thought might be victims. Nearly three out of four (74%) of Americans personally know someone who is or has been a victim of domestic violence. 30% of Americans say they know a woman who has been physically abused by her husband or boyfriend in the past year. Have a blessed day! If you need help or need more resources, feel free to contact me at niklellis@live.com If I can help, I will help! God bless. Good Morning! Happy Wednesday to you all! We have made it to the “hump”. I don’t know about you, but I can almost see the finish line of this work week. Separated and divorced males and females are at a greater risk of nonfatal intimate partner violence. Why do you let him? Remember women and men, girls and boys NEVER ALLOW ANYONE TO PUT THEIR HANDS ON YOU to harm you! Have a blessed day and STAY INFORMED!!! It’s time to become Aware. October is Domestic Violence Awareness month!